Check out Ketzirah at PeelAPom! In recent years, we’ve learned that we forgot the Tribe of Menasheh — not that they forgot us or what it means to be Jew. The tribe was thought to be assimiliated in the lands it lived in and fully adopted the ways of those people (Jewish Encyclopedia). Of course I don’t think the Tanach says it quite so nicely. But then in one sentence it will condem and in another it, or the Talmud, will praise. In 2005, Bnei Menashe was officially welcomed back into the fold and was recognized by the State of Israel. These Jews from an area in North East India are considered to be one of the Lost Tribes of Israel. They, like the Jews of Ethiopia, offer an alternative view of what it means to be Jewish. They are Jews who split off from the rest of the Tribe before the Rabbinic era, so their traditions evolved directly out of the Biblical era. 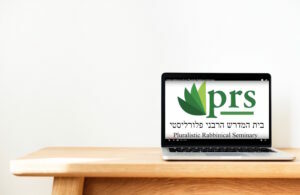 To subscribe to the monthly “Rosh Chodesh Guide” click here!